This week’s Diva Challenge is made for me. We are challenged to use “water” in any way we like. 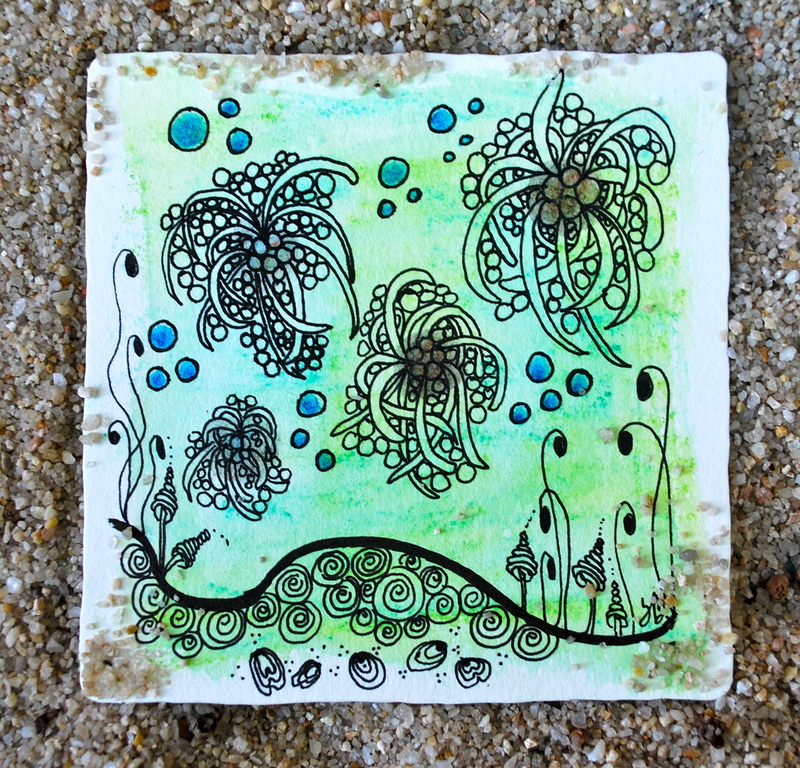 I chose a sea life ZIA with my tile “brushed” with Derwent “water” colors. I was disappointed with myself last week as I didn’t finish the Challenge with McDee. I know there are “no mistakes” in Zentangle, but all my efforts looked like major MISTAKES! I just couldn’t get the patterns to flow so they never made any sense. But, this is a new week and I’m back at it. Maybe others have these brief moments of “?”? 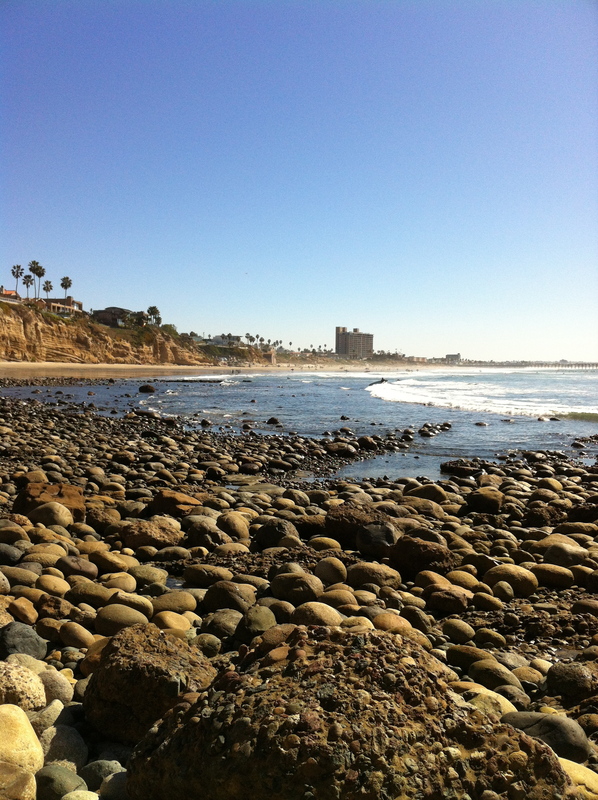 I love everything about the ocean and tend to keep my ZIA’s “ocean themed” …. hence the name of this Blog! I live right near the water so I’m lucky enough to see it every single day. View all the other awesome Challenge entries at the Diva’s website. Your tile is beautiful. I love undersea scenes. I especially like the subtle blues and greens. Wonderful undersea scene. Your water colored pencils are beautiful.. You are not alone with those “?”? moments. I love your ‘Squid Party!’ Very creative. How fun, love your squidees. Those squids are so fun! Love your tile! Love your colors and the patterns you have chosen. Lovely colouring and layout. And love how you’ve set up the tile for your photograph! Wonderful tile! I really like your “Squid Party”. Lovely colours,too! Beautifully done tile! I love your colors. this reminds me of the movie Avatar, actually. All the blue, and the flow, and liveliness. Quite wonderful! You are a lucky person to see the sea all the time! Your tile is beautiful, I love the color. And yes, I know what you mean…. Like your water color wash. I like the mixing that you did. I also thought of squid only mine was antisocial as was all by himself. It did not have friends to play with. Like the sense of motion that you achieved. I love this tile you did.. especially the seafoam green tint 🙂 I think it adds an extra bit of summery freshness 🙂 BTW.. this week’s challenge sounds like it was made especially for your blog “tangles by the sea” ^^ How fitting! Love it! Beautiful watery colors and everything seems to float nicely.